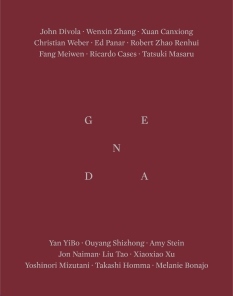 Genda is a magazine intersecting the relationship between Western and Eastern culture. Two sets of editorial staff – one in Italy and one in China - identify a common theme to then develop through the misunderstandings and complicities that are at the base of every concrete exchange. The zero issue of Genda is dedicated to landscape as abandon; it is the vision of what remains at the end of a road, the moment when a path is interrupted or an action finds us at a willed for, sought after, constructed and, at times, serially planned empasse. Genda is the Western mangling of the popular Chinese word Zhenda, ‘Really?’, and it is also the name of the favored flower of Hindu rites and celebrations. Genda is a container of accidental, compressed, distant yet dangerously similar material. Genda is independent and it is an object, it is not procedural/disciplinary. It proves the existence and presence of things and occurrences in the world, it is about experience. Its contents are apparitions; their original order is recomposed in the pages where an incidental and unexpected factor exists; they themselves contribute to the unforeseen of an unpredictable dialogue.